Communications-Based Train Control (CBTC) is a railway signaling system mostly used for metros and light railways. It makes use of the telecommunications between the train and track equipment for the traffic management and infrastructure control. London is going to host a series of highlight CBTC events in March 2015. The first two weeks of March 2015 will see a series of highlight CBTC events and, more generally speaking, Metro railways events in London, with two important conferences and a premier training seminar on CBTC. railwaysignalling.eu wanted to find out more by talking to one key visitor from overseas for those events, “Doc Frank” Heibel, an Australia-based international expert on CBTC. railwaysignalling.eu (RS): Doc Frank, can we start by you telling us about CBTC in Australia and your involvement there? Doc Frank Heibel (DF): Sure, why not? The major cities in Australia are just picking up on CBTC, which is very exciting for signalling people in this country. The first contract for driverless CBTC on the Sydney North West Rail Link, an eight billion dollar mega project, was awarded mid-2014 with operation due to commence in 2019. Further CBTC projects with less well-defined timelines are planned in Melbourne and Perth to boost the signalling capacity of the existing rail networks with CBTC when needed in the future. Personally, I have my fingers in many pies, as the Aussies say. I am the Project Manager for the CBTC planning in Perth, the Technical Advisor for CBTC to the client on North West Rail Link, and who knows what my role will be eventually in Melbourne. RS: Sounds like busy times for you, but wait there is more, right? DF: Yes, and that “More” is indeed very close to me. I do my best to facilitate the networking, CBTC events and information exchange for CBTC in Australia, and for that purpose founded the LinkedIn group “CBTC Networking Australia”. Open information exchange has been a bit slow recently due to the understandable confidentiality of ongoing tender processes for projects. People just cannot speak up as freely as they would like when they had to sign quite strict confidentiality deeds. But this will ease over time, and the group has been growing quite promising with top quality members from both Australia and overseas. RS: You also get busy with CBTC training, we heard? DF: Oh yeah, and it is about time I would say, not just for me but for the sake of the entire industry. If you look at the worldwide popularity of CBTC as THE high performance signalling solution, I find it quite concerning that there are virtually no training courses or materials available at all. I want to close that gaping hole in signalling education, not so much by turning CBTC specialists into super gurus, but by lifting the basic knowledge of a much wider audience. There are so many people out there who are not signalling specialists but will become involved in CBTC projects and operations anyway, and without any training or information it is just so unnecessarily hard for them. Plus consider the likely lack of confidence when you deal with something on a daily basis that you don’t know much or anything about. I know from own experience how terrible that feels, but we fix this in just two days of my “CBTC Kickstarter” seminar. It is a game changer, really, and I am very proud of the results. I can give you a flyer for the coming event in London to share with your audience if you like. RS: So, talking about CBTC events, your CBTC Kickstarter seminar is what brings you to London? DF: Yes, but not only that. If you look at the global conferences for CBTC, London is hands down the centre of the world. I know of only two conferences on CBTC worldwide at present, and they are both held in London. 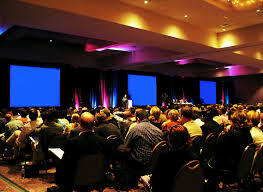 There is the CBTC World Congress in November (http://globaltransportforum.com/cbtc-world-congress/speaker/) which has become quite big, with hundreds of delegates from all over the world. In March, there is a smaller conference on CBTC, but of very high quality regarding speakers and attendees, which I think is a must to attend (http://railcontrolsystems.com/). That one is on the fifth of March, and the week after, there is that big event Metro Rail 2015 which I also consider very important from a CBTC perspective. (http://www.terrapinn.com/conference/metrorail/index.stm) So I can do two conferences and my seminar with just one overseas trip, which is perfect for me. RS: Can you tell us more about the agenda of those two weeks? DF: Well yes, and I apologise for starting with my own event, which I need to if I want to keep it in chronological order. On March 3-4 I will host my “CBTC Kickstarter” training course in a very nice conference hotel in Kensington, which I believe is the first training seminar on CBTC fundamentals that London, and Europe for that matter, has seen in a long time. Registration will open very soon in early February, still working on the website to get built (http://www.CBTCkickstarter.com). March 5 brings the CBTC conference that I talked about, in a nice area of Docklands. Oh dear, I sound like a tourist, talking about nice venues all the time (laughs). In the following week, it is again me first, sorry. As part of Metro Rail 2015 I will give an opening workshop on “CBTC and High Performance Railways” in the afternoon of March 9 (http://www.terrapinn.com/conference/metrorail/C54122.stm). The Metro Rail conference itself is on March 10-11. Busy two weeks, I can tell you, but man will this be awesome! RS: Of all those exciting events, what do you look forward to most? DF: Oh, that’s a lovely question and I have a beautiful answer to it. I wanted to arrange a welcome address for my CBTC Kickstarter seminar to make it a bit more formal, you know, things you do in Britain. And I was so lucky to win over Eddie Goddard, the ex Head of Signalling for London Underground, who is still around pretty much everything that happens these days in London signalling. I would call Eddie a British all-time signalling guru although I’m sure he would not have any of that. But he is just such a great guy, and I really think this welcome address will blow people away. Yes, I think that’s my highlight, and then of course all my own speaking engagements which never cease to inspire and excite me. RS: With all that excitement you have, will we see you in London more often? DF: You know, it is quite a long way from Australia, but never say never. London has some very interesting challenges ahead, at Crossrail but also London Underground. For example, in my seminar I offer a bit of an analysis why I think the CBTC project on the Sub Surface Lines failed in its first attempt. I have a few ideas that I could contribute if someone asked. You would need to see how to accommodate that mainly remotely from Australia, but with modern communications the world has become quite small in terms of accessibility, so it’s all doable with a bit of goodwill. RS: So it’s wait and see then. How about a closing remark to wrap up, maybe about London in general? DF: Of course, my pleasure. I find London really fascinating, as a city anyway but also from a transport perspective. Always on the brink of complete traffic lockdown it seems, but at the same time they do so much to keep the city running. Just look at Crossrail, what a project! From the viewpoint of a CBTC expert, I highly admire that top influencers such as David Waboso from Transport for London openly commit themselves to a signalling technology, saying that CBTC will be the answer for future capacity increase on the Tube. Political support and championship is just SO important to get projects delivered, it cannot be emphasised enough. RS: Thanks for your time Doc, and we will see you soon in London. DF: Likewise, thanks for talking, look forward to it.